And so it all comes down to this: the seventh and final stage of the Tour de Zack y Tony. Indeed, Operation: Wrong Way!, Operation: Fish Tacos!, Operation: Tequila! Tequila!, Operation: Glorious Ruination!, Operation: Jungle Boogie!, and Operation: Enduring Freedom! have all been completed, so just one more operation – Operation: VICTORY LAP!!! – stands between us and end of what has been one incredible journey from San Francisco to South America. 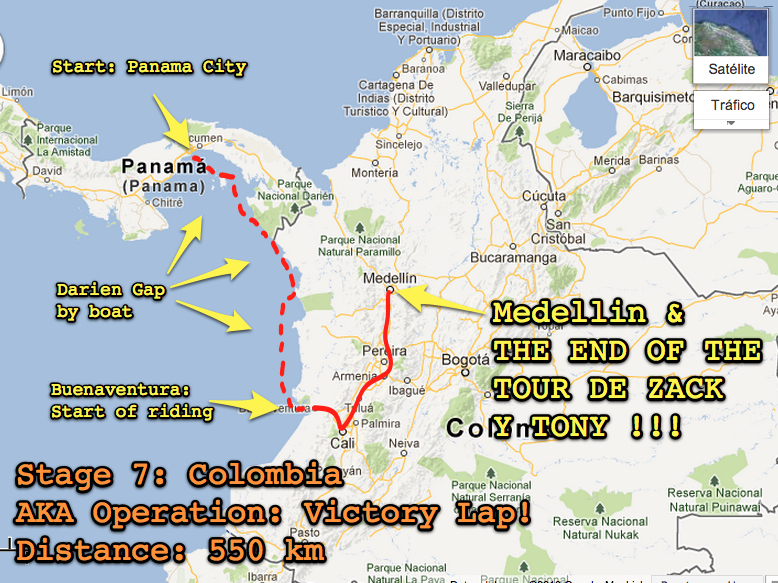 The final stage of the Tour will take us from the boat docks of Panama City to our finish line: Medellin, Colombia. Stage 7 Map. CLICK TO ENLARGE. 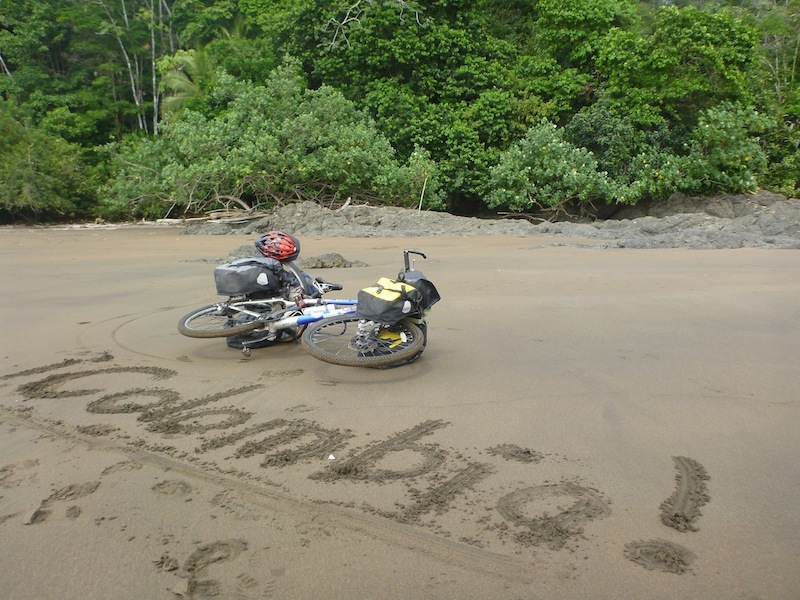 So join us for a journey by boat and by bike, as we village hop our way through the Darien and Colombia’s infamous Chocó province. Join us as we get back on the road in Buenaventura – one of the most dangerous cities in the world – and climb up into the northern extremities of the Andes to Cali, the world capital of Salsa dancing. Stick with Tony and I for our final days on the road as we journey north through the coffee region of Colombia. Finally, REJOICE with us as we arrive in the urban hot-spot and uber-cosmo city of Medellin to celebrate the end of the Tour with an aguardiente-fueled rrrrrumba of epic proportions. This riding portion of this stage is the shortest of the trip at only 550 km (or so) long. 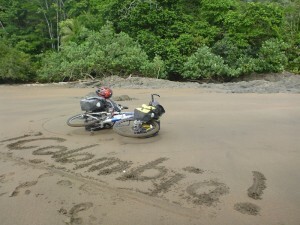 Missed out on Stage 6 in Nicaragua, Costa Rica and Panama? Check out the Stage 6 summary page.